As a Bridgewater OUI Attorney, Michael DelSignore has experience representing clients in OUI cases involving DUI roadblocks, failed breathalyzer tests, and poor performance on field sobriety tests. Attorney Delsignore will represent clients charged with an OUI in Bridgewater at the Brockton District Court located on 215 Main Street, Brockton, Massachusetts 02301. The Brockton District Court hears criminal cases from Bridgewater, Abington, East Bridgewater, West Bridgewater, and Whitman. In Bridgewater, many times an officer will pull over a driver for crossing the double yellow line, crossing into the breakdown lane, for speeding, or for making an improper lane change. All of these traffic violations occur every day, even when a driver has consumed no alcohol. No one drives perfectly straight down the road and distractions while driving are becoming increasingly more common. All of these are typical of a driver who has not been drinking. Arrest by Bridgewater Police: Client found NOT GUILTY after Jury Trial! In this case, our client was arrested by the Bridgewater Police Department and charged with OUI after making a number of marked lane violations and failing the field sobriety tests such as the nine-step walk and turn, and the one leg stand. Attorney DelSignore went to visit the scene where the client was arrested and found a discrepancy between what the officer alleged in the police report and the area. During cross examination, Attorney DelSignore was able to highlight a number of issues with the officer's allegations against the officer, and was able to discredit the officer's claim that alcohol caused the defendant to fail the field sobriety tests. Ultimately, the client was found not guilty by a jury of his peers. In this case, our client was arrested after allegedly driving on the wrong side of the road, failing a number of field sobriety tests, and appeared, to the officer, to have bloodshot and glassy eyes during conversation. The client consented to take a breath test which yielded a .17 result. Attorney DelSignore filed motions to keep incriminating evidence out of the client's trial, and used a booking video to show that the client had exceptional conduct during booking, and was not slurring her speech as the report alleged. Attorney DelSignore also had the officer mention the poor weather conditions, and explaining how these conditions ultimately could impact a person's performance on the field sobriety tests. The jury ultimately found the defendant not guilty! Brockton District Court – Client under the age of 21 found NOT GUILTY! In this case, the Bridgewater police department pulled the defendant over after allegedly making traffic infractions. During conversation, the officers alleged the client to have slurred speech, bloodshot eyes, and claimed that he was unsteady outside of his vehicle. Attorney DelSignore highlighted the strengths of the case, arguing that the defendant did not make major traffic infractions and did not appear under the influence. After trial, the defendant was found not guilty. As a Bridgewater OUI attorney, Michael DelSignore will review the police report, gather information, question witnesses to help prove that your driving and overall conduct during the interaction with the officer was not as bad as claimed in the report. You should know that police report’s largely, if not only, highlight what you did wrong after being stopped by the police officer. Police reports are construed to support the officers arrest of you; basically, this means that the only information listed in the police report will be information that supports the officer’s case against you. The officer is not going to highlight the fact that you might have done well on some field sobriety tests but not others. For those charged with OUI in Bridgewater, questions are commonly asked about the field sobriety tests. Attorney DelSignore has successfully represented clients who have been reported as performing poorly on the field sobriety tests. "THANK YOU DELSIGNORE LAW! NOT GUILTY OUI VERDICT IN BROCKTON"
"I was arrested and charged with OUI and negligent operation of a motor vehicle by the Bridgewater Police Department. Attorney DelSignore explained the court process to me during our initial conversation and assured me I had a winnable case based on the police report. He is skilled in OUI law and has immense experienced defending client's in Brockton and throughout Massachusetts. Come trial day, I was found not guilty thanks to Mike's hard work and dedication to my case. I cannot thank him enough, and would recommend him to anyone facing a criminal charge. THANK YOU!" Often times, police officers inherintly make the field sobriety tests more difficult for the driver. This is done by over-explaining the tests, giving improper instructions, or scoring the test incorrectly or harshly. The police want you to feel nervous when you are performing the field tests. By inducing fear in the motor vehicle operators, the police have the upperhand, as the fear often times results in poor performance on the field sobriety tests (which is enough for an arrest). Furthermore, weather conditions may affect a driver from performing well, as does the conditions of the road or the area where you were stopped. Police officers are required to ensure the area where you perform the field sobriety tests is free and clear of debris, and is a flat surface. However, this is not always the case. Attorney DelSignore will fight for his clients to show that his client did not perform as poorly on the field sobriety test as it was stated, and will visit the scene of your arrest to take photographs of the area where you performed the tests. 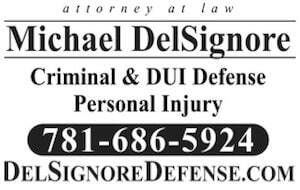 If you are charged with an OUI in Bridgewater or a surrounding town, please contact Attorney DelSignore for a free consultation and to have your questions answered. Attorney Delsignore has an office conveniently located close to the Bridgewater area, in Stoughton, Massachusetts at 530 Washington Street. Evening and weekend appointments are available in our Stoughton Office upon request! Feel free to browse our educational website today to read more about the charge of OUI and to learn more about field sobriety tests.